An all-in-one resource for women! Free tried-and-true workouts, recipes, and daily tips to help every woman become healthier, happier, and love her life even more as an Ultimate Fit Mom! -Britt Brandon, Personal Trainer, Fitness Nutrition Specialist, and 15-time author. Be the UltimateYou!! Be an Ultimate Fit Mom!! Be Healthy! Be Strong! Be Beautiful! Be the Best You! An Ultimate Fit Mom is a woman who is dedicated! Dedicated to yourself, your family, your work, and your life, any woman can achieve success in every area of her life. With the right advice, encouragement, and support, you can become a healthier, stronger, even more beautiful woman who is able to be better in every area of your life because you feel better about yourself! There are no programs to buy here, no fees or memberships, no commitments of any kind...other than the ones you make to yourself! Start finding out the information you want and need in order to be the best you, and start transforming your health and your life to make your life as an Ultimate Fit Mom more amazing than you ever dreamed possible! I'm a mom of three who knows how challenging it can be to focus on yourself when you have relationships, children, work, and daily life requiring your attention at all times. The small improvements I've made paid off, and those improvements made me a better wife and mom, a more focused business owner, and a happier, more positive person. As a Personal Trainer, Fitness Nutrition Specialist, and author of fifteen health books, I want to provide you with the most up-to-date research, exercises, and nutrition information that will help you improve your health, your body, and your life simply and easily. I've experienced how much a healthy lifestyle can improve every area of your life, and I want to share that experience with you, show you how easy it can be, and provide you with the information, advice, and tips you'll need to achieve the same! I am always eager to hear questions and comments from my readers, and will always answer, so please feel free to contact me with any feedback! I always love hearing comments from my visitors, so feel free to let me know what you think about this post, or if you have a question or an idea for a future blog topic. 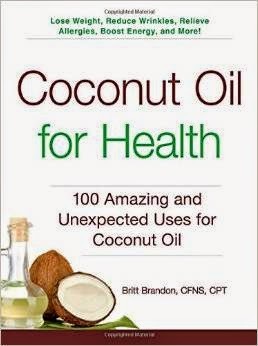 Learn new and exciting ways to use Coconut Oil to improve your health! 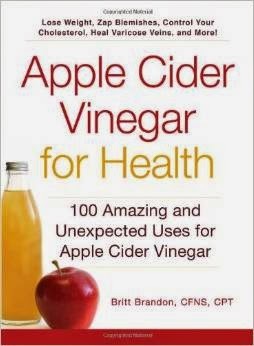 Apple Cider Vinegar for Health! Amazing Tips on How You Can Use Apple Cider Vinegar to Improve Your Health and Your Life! 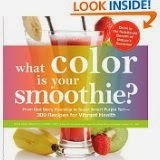 Click the link to purchase the most informative Smoothie Book yet with over 300 delicious recipes! 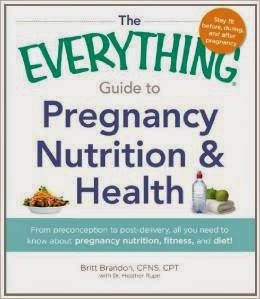 Nutrition, Fitness, and Health Information for Before, During, and After Pregnancy! 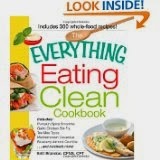 Best Eating Clean Cookbook Available! From my kitchen to yours, my Eating Clean Cookbook offers new recipes or cleaner versions of family favorites that you're sure to enjoy! 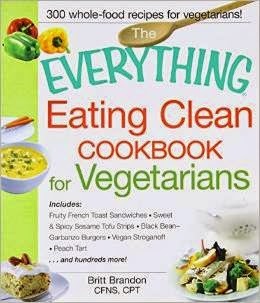 Clean Vegetarian Cooking Made Easy! Whip up easy and delicious healthy vegetarian meals in no time! E-Book #2!!!! Click the Pic for More Info. "Get Fit Fast! ": The New UltimateFitMom Series!